The new Senator Environ Series is ideally suited for a small-to-medium industrial application, with heavy compressed air demand and working pressures of up to 10 bar. 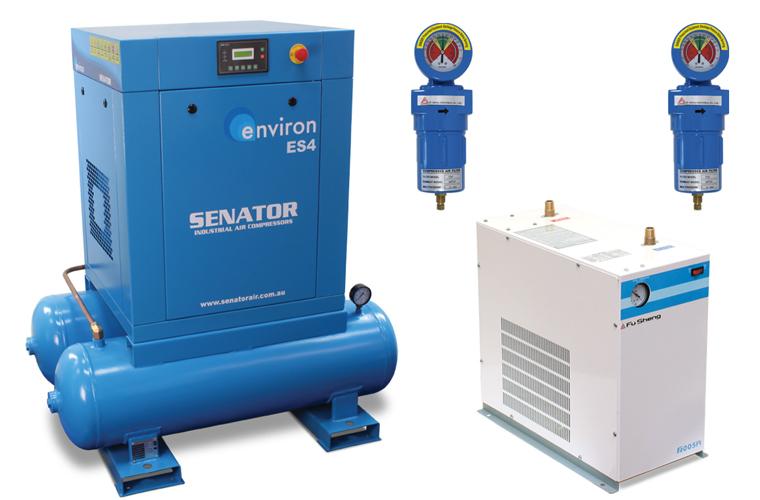 The feature-rich Senator ES series currently offers five models of rotary screw air compressor sets that are fully integrated, tank-mounted packages supplied ready for use, with variable speed drive options available. Each model has been developed using innovative European design concepts to achieve a compact layout and upgraded with heavy-duty components to satisfy the demands of Australian operating conditions.